-work through dumbbell complex (not including farmer carry) 10 times. Farmer carry 80 meters, then rest as needed. Cannot put dumbbells down until after farmer carry (between rounds). Your score is the amount of time you rest. At minutes 2, 6 and 10 run 400 meters. 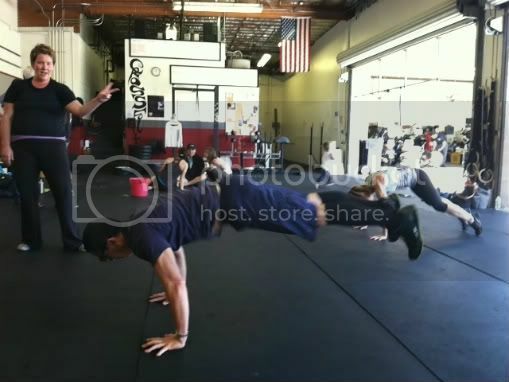 From the start of the clock (until 2nd minute) complete AMRAP of burpees. When you return from 400m complete AMRAP of rope descents/ascents until 6th minute. Matt Nasty AMRAP when you return from 2nd 400m run. Score total reps.